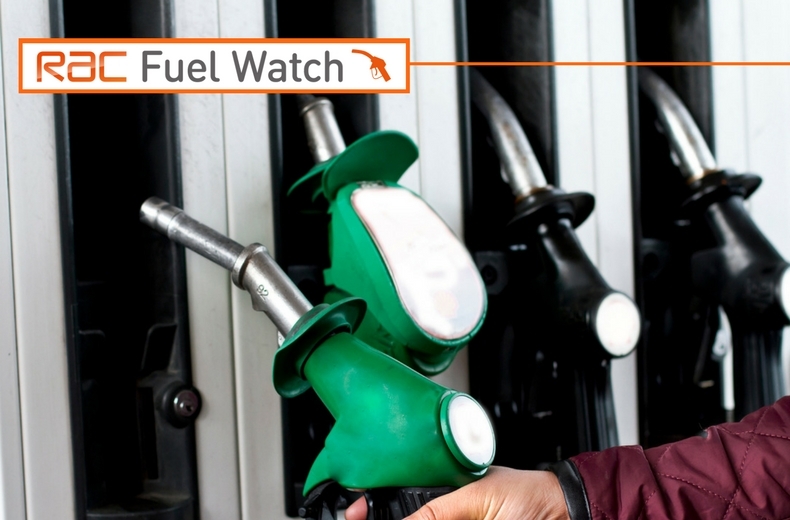 Fuel Watch is the RAC's petrol and diesel price monitoring initiative, which helps ensure retailers are charging drivers a fair price at the forecourt. We monitor both wholesale and retail fuel prices daily, including those at the UK's supermarkets - Asda, Tesco, Sainbury's and Morrisons - and urge retailers to pass on cost savings to motorists when they can be made. 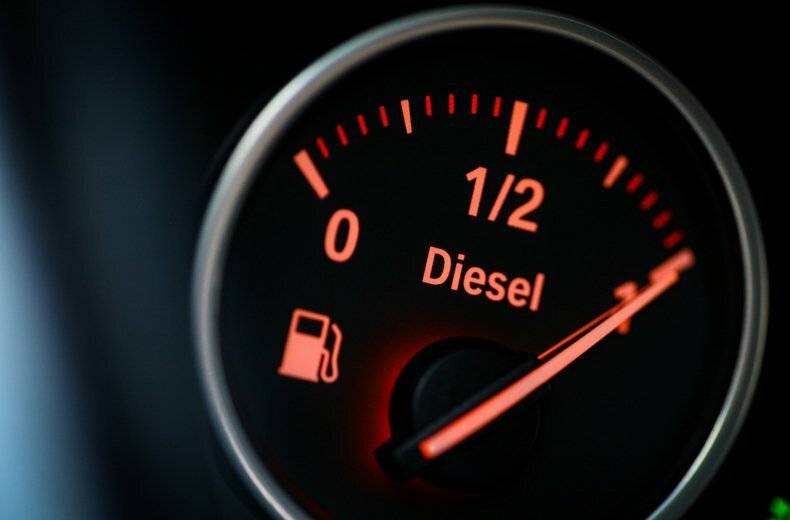 The prices at the top of this page are the latest average petrol, diesel and liquid petroleum gas (LPG) prices across supermarket and independent forecourts in the UK, and are updated daily where data is available. Data is provided without warranty. However, the main way to save money on fuel is to drive efficiently. Read our guide to saving fuel for more tips. 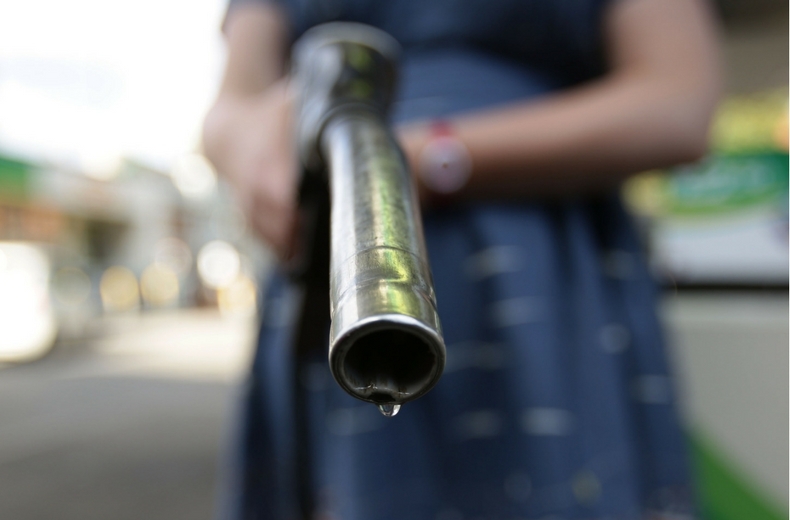 What are the highest ever recorded petrol and diesel prices? On 13 April 2012, diesel prices hit a record high of 147.93p per litre on average. On 17 April 2012, unleaded prices hit a record high of 142.48p on average. While some of these stay largely static - such as the fuel duty rate and VAT - others such as the oil price and dollar to sterling exchange rate can be very volatile. This explains why prices rise and fall. The total retail price paid at the pump includes a significant amount of tax – 57.95p per litre in fuel duty and 20% VAT. But the total proportion of tax we pay to the Treasury varies depending on the pump price. For instance, with fuel at 120p a litre at the pumps, 65% of the cost is tax. But at £1 a litre it rises to 75%, meaning 75p in every litre sold goes to for the Treasury. Fuel duty raises more than £26bn a year, which together with VAT charged on fuel, vehicle tax and ‘showroom’ tax totals, means motorists contribute more than £40bn a year to the Government’s coffers. How much fuel does the UK use? The UK Petroleum Industry Association reports that each day, 46m litres of petrol and 74m litres of diesel are sold in the UK. According to HM Revenue and Customs data for 2015, 46bn litres of fuel were used by drivers – 17.3bn litres of petrol and 28.8bn litres of diesel. How much fuel do we use in the UK? There is a limit to how low prices can go as tax – fuel duty at 57.95p a litre and VAT on the total price, including fuel duty – make up the lion’s share of the price of a litre. Even if the fuel was given away and the retailers didn’t take a margin, the price of a litre would still be 70p per litre – 57.95p duty, plus 20% VAT – 11.5p. This high level of tax affects the price of a litre of fuel significantly. And, when the price of oil is falling it can also create a perception that pump prices are not reducing as much as they should because the lower the pump prices falls, the greater the percentage of tax. How often do pump prices change? Pump prices change when there are significant and sustained increases or reductions in the wholesale price of petrol or diesel. Retailers can reflect these savings as often or as infrequently as they like. In reality though the retail fuel market tends to be led by the supermarkets, as despite only having around 16% of UK forecourts they are responsible for some 44% of total fuel sales, so we often see widespread cuts being passed on at the pumps at the same time. The other factor which affects when forecourt prices are changed is how frequently retailers buy their fuel. Retailers who use greater volumes tend to buy more frequently and are therefore tend to alter their prices more quickly. What is the ‘rocket and feather’ effect, and is it true? This is a term often applied to fuel prices to describe how they always appear to rise faster than they ever come down, i.e. they go up like a rocket but fall like a feather. The RAC believes retailers have a reasonable record of passing on reductions in the wholesale price of fuel to motorists at the pump, but there are occasions where we think this could be carried out more quickly. For instance, retailers often seem to take more encouraging to reduce their prices when oil prices are falling than they do when oil goes the other way. Of course, the longer they hold off cutting pump prices when oil’s coming down, the better it is for their margins, and the reverse is also true: when the cost of a barrel of oil rises, the more they stand to lose if they don’t raise the forecourt price quickly. Why do prices vary by region? Prices can vary dramatically from region to region and even in towns that are only a few miles apart. Sometimes fuel can even be cheaper in a more rural location than in an urban one. Local retail dynamics also play a part. Local prices are very often driven by the presence of supermarkets keen to compete on price or an independent forecourt retailer that is determined to offer the cheapest fuel. If local supermarkets selling fuel don’t compete strongly on price this can in fact lead to motorists paying more. Why are rural prices often higher? While delivery costs tend not to play too large a part in the overall pump price, excessive distances from fuel terminals can have a significant effect on prices in rural locations. It is for this reason the Government has taken action to help some of the country’s most rural communities where the price of fuel is deemed to be negatively affecting residents. In 2012 it introduced a 5p rural fuel duty discount in the Inner and Outer Hebrides, the Northern Isles, and the Isles of Scilly. In March 2015 this was extended to 10 rural mainland communities. Why are motorway fuel prices so much more expensive than everywhere else? Fuel at motorway services is generally up to 10p – and sometimes as much as 15p per litre – more expensive than the national average price of petrol and diesel. The RAC can see no reason why this should be the case. All fuel retailers purchase their fuel at the same wholesale price and then have to pay delivery costs on top. While these costs do not impact the pump price significantly they can in very remote areas. But in the case of motorway services it is, of course, even easier to deliver to them than it is to urban filling stations. The RAC believes it is simply a decision of motorway service station operators to charge such high prices and they are taking advantage of motorists having little option but to buy from them. We feel that motorway service operators need to be held to account and made to explain the reason for charging such high prices. RAC research has found that motorists feel held to ransom by the inflated fuel prices charged at motorway services and has urged motorway services operators to explain why they charge so much for something that is drastically cheaper everywhere else. Forty-four per cent said they only buy fuel at motorway services when they have no other choice. One in five motorists surveyed by the RAC said only put in ‘just enough fuel to get by’ at a motorway services to then find a cheaper alternative later. The RAC argues that if they were to charge significantly less for their fuel, the number of drivers filling up to the top would increase dramatically. How many forecourts are there in the UK? At the start of 2016 there were around 8,500 filling stations in the UK. This number has reduced drastically from 1970 when there were more than 37,000. In the last decade some 170 forecourts have closed due to stiff competition and increased costs of complying with environmental regulations. According to 2015 statistics from the UK Petroleum Industry Association supermarkets dominate fuel sales, accounting 44% of the total fuel volume despite only operating 16% of the forecourts. Independents operate 62% of the country’s filling stations but are only responsible for 32% of fuel sold. The remainder is accounted for by oil company-run sites. Download our fuel price reports to share or print (in PDF format) below. Reports are generally available within a few working days of the start of each new month, covering prices for the previous month. To help you understand why you pay what you do when you fill up at the pump, we maintain a set of resources - including regular fuel price reports that explain the price variations and a live chart showing what is happening with the oil price, one of the biggest factors in deciding UK pump prices. If you would like more information or have a question, please email the RAC press office.